Hebrew and Yiddish are languages spoken by Jews all over the world. Interestingly, Hebrew and Yiddish are very dissimilar even though both languages use the Hebrew alphabets in their scripts. While Hebrew is a Semitic language (subgroup of Afro-Asiatic languages) like Arabic and Amharic, Yiddish is a German dialect which uses many Hebrew words but with a very distinctive Ashkenazic pronunciation. Israel; Global (as a liturgical language for Judaism), in West Bank, and Gaza United States, Israel, Argentina, Brazil, United Kingdom, Russia, Canada, Ukraine, Belarus, Hungary, Moldova, Lithuania, Belgium, Germany, Poland, Australia, France and elsewhere. Hebrew (עִבְרִית, Ivrit, Hebrew pronunciation ) is a Semitic language of the Afro-Asiatic language family. Culturally, it is considered a Jewish language. Hebrew in its modern form is spoken by many of the seven million people in Israel. Yiddish (ייִדיש yidish or אידיש idish, literally "Jewish") is a High German language of Ashkenazi Jewish origin, spoken throughout the world. It developed as a fusion of German dialects with Hebrew, Aramaic, Slavic languages. Semitic language of Afro-Asiatic language family. High German language of Ashkenazi Jewish origin. Hebrew is the member of the Canaanite group of languages which belong to Northwest Semitic family of languages. From the 10th century onwards, Hebrew was a flourishing spoken language. Through the ages, Hebrew persevered as main language for all written purposes in Jewish communities all over the world. 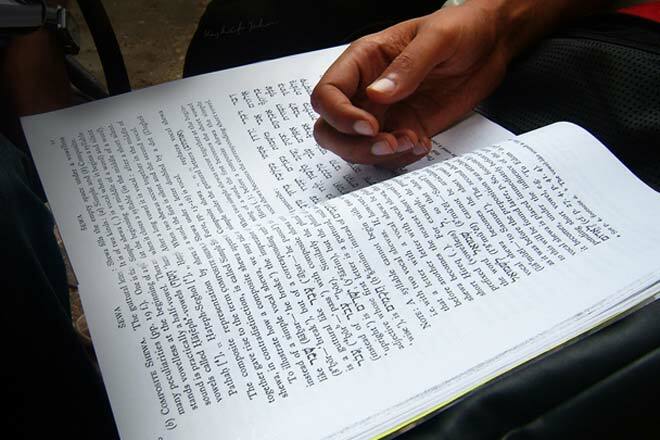 Thus educated Jews all over had a common language for communication through books, legal documents, published, written and read in the language. Hebrew has been revived repeatedly by various movements in the 19th century. Modern Hebrew finds its place as a modern spoken language due to the national revival ideology of Hibbat Tziyon followed by Jewish activist Eliezer Ben-Yehuda. Literary works of Hebrew intellectuals during the 19th century led to the modernization of Hebrew. New words were borrowed and coined from other languages like English, Russian, French and German. In 1921 Hebrew became the official language of British ruled Palestine and in 1948 was declared official language of State of Israel. Hebrew is studied by students of Judaism, archeologists and linguists researching Middle East civilizations and theologians. Yiddish developed as a fusion of Hebrew, Slavic languages, Romance language and Aramaic with German dialects. Origin of Yiddish can be traced back to the 10th century Ashkenazi culture in Rhineland which eventually spread to eastern and central Europe. Initially known as the language of Ashkenaz, Yiddish soon came to be known as the mother tongue or mame-loshn. 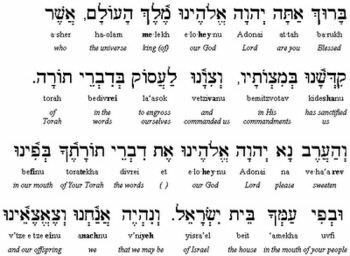 Yiddish was different from biblical Hebrew and Aramaic which were known as loshn-koydesh or holy tongue. 18th century saw Yiddish being used in literature. Primarily spoken by Ashkenazi Jews, Yiddish dialects are divided into Western Yiddish and Eastern Yiddish which includes Litvish, Poylish and Ukrainish. Western Yiddish had no use of words of Slavic origin while Eastern Yiddish used them extensively. 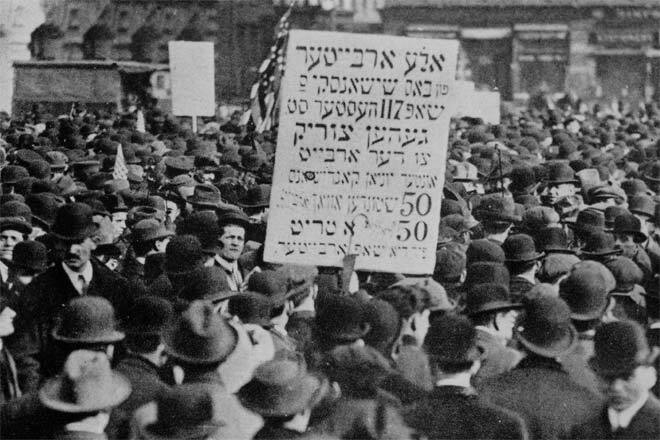 Eastern Yiddish continues to be used widely while use of Western Yiddish has dwindled significantly. Hebrew is derived from "ivri" which means Jewish people from the name of Abraham's ancestor, Eber. 'Eber' has its roots with 'avar' meaning 'to cross over'. Bible refers to Hebrew as Yehudith since Yehuda or Judah was the surviving kingdom at the time. Hebrew also finds reference in Isaiah 19:18 as Language of Canaan. Yiddish was known as loshn-ashkenaz or language of Ashkenaz and taytsh or the modern Middle High German. Common usage finds Yiddish being referred to as mame-loshn or mother tongue. The term Yiddish found itself being used in the 18th century. In Hebrew consonants are called 'itsurim'. The consonants are strengthened using dagesh which is idicated by points or dots placed in center of consonants. There are light dagesh or kal and heavy dagesh or hazak. Vowels in Hebrew are called as tnu'ot and their written representation is Niqqud. There are 5 vowel phenomenes in Israeli Hebrew. Like any other language Henrew vocabulary consists of nouns, verbs adjectives etc. but surprisingly a verb is not mandatory for sentence construction in Hebrew. Yiddish language phonology shows influence of Russian, Belarusian, Ukrainian and Polish influence and like them does not allow voiced stops to be devoiced in final position. The nouns are divided into masculine or zokher, feminine or nekeyve and neuter or neytral. Adjectives are used for genders and numbers. Verbs, pronouns and articles are used specifically. Hebrew is written from right to left using 22 letters which are all consonants. A Hebrew alphabet is called an abjad. Modern script is based on a form of writing known as Ashurit which has its origination in the Aramaic script. Handwriting script of Hebrew is cursive with letters being more circular and varies from their printed counterparts. Vowels in Hebrew script have to be deduced from context as well as diacritic marks above and below letters which have syllabic onset. Come consonantal letters can be used vowels and these are known as matres lectionis. Diacritic marks are also used to indicate difference in pronunciation and accentuation as well as musical rendition of Biblical Texts. Yiddish is written using Hebrew script. Silent Hebrew letters become vowels in Yiddish. Letters which can be used as consonants and vowels are read according to context and sometimes are also differentiated through diacritic marks derived from Hebrew. The diacritical marks or points find unique and specific usage in Yiddish. Though both languages use Hebrew script there are significant differences in which the letters are applied in literary practice. German is not a dialect either; it is a standardized a mixture of High German (which is where Yiddish comes from) and Low German.